A little bit about Neil Nourse Photography. I reside with my wife and daughter in the Berkshire Hills in Western Massachusetts. Being born and raised here, I spent a lot of time exploring the woods and swamps in my youth. Now working inside 9-5, I miss the time I used to spend outside. Nature Photography has given me a reason to get outside as much as possible. 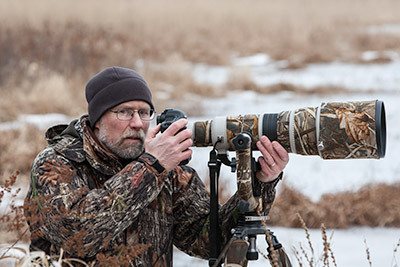 Since starting in 2009, I had concentrated mostly on avian and landscape photography. In February 2016 I made my first wildlife photo trip to the African country’s of Tanzania and Kenya with Piper Mackay as a tour leader. What an incredible experience it turned out to be!! I couldn’t stay away and returned to Kenya in March 2017. I spent seven days with David Lloyd photographing the big cats of the Masai Mara. My African experiences will stay with me forever, and probably call me back many times in the future! Hopefully, my African pictures will inspire you to visit this remarkable place. I am mostly self-taught, by reading books, searching the web and online forums. I have made a few friends that have helped me along the way namely Arthur Morris, Denise Ippolito, Michael Milicia, Charles Glatzer, Piper Mackay and David Lloyd. My equipment is Canon with my main body being the EOS 1DX and my old EOS Mark IV as a backup. The lenses in my bag are the EF 17-40 f/4L USM. Ef 70-200 f/2.8L IS USM, EF400mm f/5.6L USM and the EF500mm f/4L IS USM. I also carry a 1.4x and a 2x extenders along with an EF25 extender.